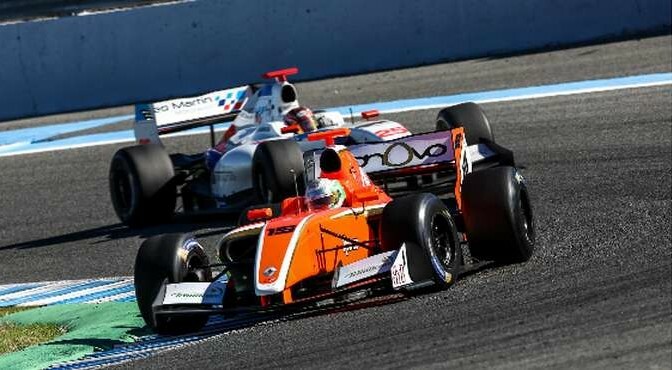 AVF experienced a really challenging weekend at Jerez in the penultimate round of the Formula V8 3.5 series. After the ups and downs of Saturday, the second day of activity handed Tom Dillmann a 13th place in qualifying 2 as the Frenchman struggled with set-up woes. The same issues hit Alfonso Celis, who scored 12th place. 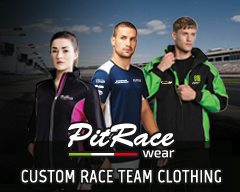 In race 2, Dillmann recovered up to 8th place but the result wasn’t enough to retain the championship lead. He was surpassed by Deletraz who now holds a 3-point advantage, 197 versus 200. The battle for title will be decided next weekend in the season finale at Barcelona. Celis made his way to the top-10 too with a consistent performance. “It continues to go from bad to worse, it has been going bad for quite a while now and and this weekend it got even worse. In qualifying we scored 7th and 13th with 1”2 off in Q2. Clearly something is wrong, it’s obvious that the team didn’t forget how to set-up a car and I didn’t forget how to drive. There must be a problem somewhere, we have to change some stuff for Barcelona like the chassis and other stuff: we need to know what’s wrong. In term of the results, I came here with an 11-point lead and now I’m 3 behind, so everything can happen in Barcelona. The game is on, as if we started a new championship now”. “I almost had the same problems of Tom this week-end, I was one of the few drivers to overtake during the race and I’m pleased with that. About the strategy, even though Tom was behind, he was called in first, and the only position I lost was during the the pit-stop. Something is not working with the car, in the fight with Kanamaru he was quicker but I protected the position well”.